Festive mood meets Rebels and Outlaws… For the bright times ahead with family and friends, light a dose of Love, Love, Love; Laws of Attraction, Pride, and maybe Sister Witch to yield fun times ahead. These travel-friendly handcrafted candles are made New York, with added sprinkles of flower petals and herbs that smell divine. 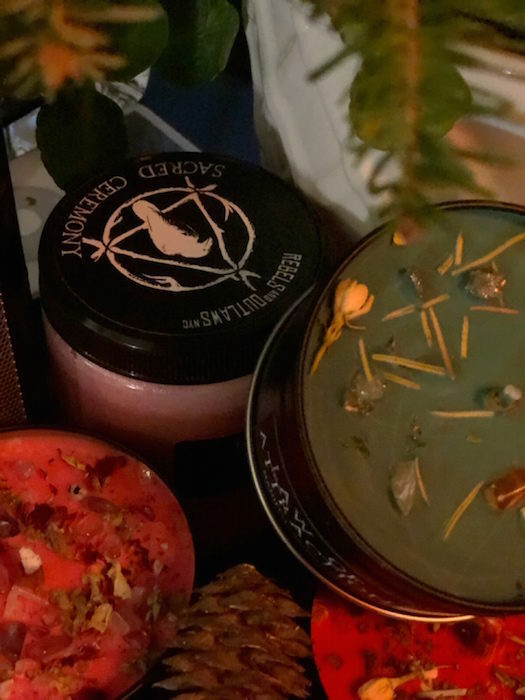 Whether you need a an inspired moment for yourself, or want to enhance the holiday vibe chez toi, these candles come in cute tins and are a perfect gift for the New York friend. Discovered at the local pharmacy in SoHo, Thompson Chemists is located at 132 Thompson st and delivers! 212 598-9790. $19-$26 each. 📸 @brigitte_segura @rebelsandoutlaws @fashiondailymag @thompsonchemists . 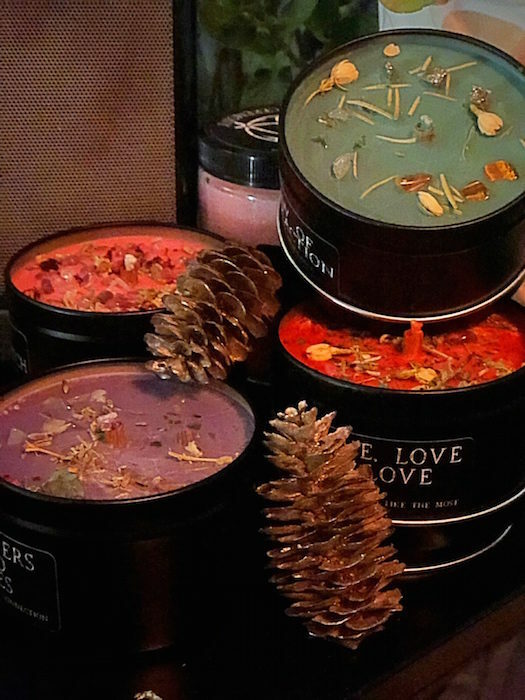 go on and gift.. to enhance YOUR festive MOOD with candles! story and photos: Brigitte Segura. @brigitte_segura for @fashiondailymag x @socialcurators.